There are around 160 fluid-filled sacs in the human body which are known as bursae. Each of these sacs acts as a cushion between our bones, tendons, joints and muscles thereby relieving pressure. They are lined with synovial cells that produce lubrication and thus reduces friction. Due to this, our joints, bones, tendons and muscles move smoothly and easily. Bursitis can strike almost any joint in the body. However, the knees, elbows, shoulders and hips, are more prone and are vulnerable. The pain gets aggravated when the fluid-filled sacks (bursae) suffer inflammation. People suffering from bursitis find it difficult to perform normal movements due to the severe pain experienced. Causes that can be attributed to bursitis are varied. It could be due to factors like routine ageing or even due to repetitive motion in the joints. While numerous supplements are available in the market, one of the most effective and convenient supplement to help control the pain and inflammation due to bursitis is turmeric. 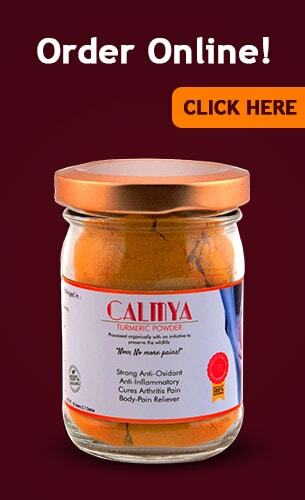 This spice is extensively used in curries and other yellow Indian dishes. The recommended everyday intake of turmeric is 500 mg to 1,000 mg. Having milk with turmeric twice daily shall prove immensely beneficial. Another convenient home remedy involves making a smooth paste by crushing fresh and massaging the same on to the affected hip area. It is always advised that those food items which inherently contain essential minerals and vitamins (for bone and muscle health) as well as anti-inflammatory compounds, should be consumed liberally. Citrus fruits like kiwi and pineapple as well as papaya, bananas, etc are good for our systems. Dark green leafy vegetables should also be taken religiously as a matter of habit. Needless to mention, eggs, fish and chicken as well as walnuts and flaxseeds are largely beneficial. People ailing from hip bursitis should ensure that the affected areas are regularly exercised. However, care should be taken to not strain the sensitive parts by over-exercising as well. Walking is always an automatic recommendation since it is extremely beneficial. It facilitates drainage of excess fluid from the bursae in a natural manner. Resultantly, a lot of relief from inflammation and pain is experienced. From the above, it is self-explanatory that turmeric, along with foods that have anti-inflammatory properties coupled with regular exercise, is rather effective while preventing bursitis. Incorporating turmeric in any form in our daily diets can help provide the much needed relief to get back on track. The results would indeed be pleasantly surprising. I suffer from osteoarthritis and biggest problem is that when I wake up in the morning, my joints refuse to function for a good couple of hours. Should I apply this product overnight to ensure that my joints don’t hurt as much in the morning? The best thing about curcumin is that you can gain from it by using it both as an oral medication as well as a topical ointment. For your painful joints, it is recommended that you drink warm milk with some Calmya and black pepper in it at night before going to bed. This will help you sleep better as curcumin helps calm you down by reducing the inflammation and stimulating the secretion of mood elevating neurotransmitters like dopamine and serotonin. If you are in too much pain, you can apply a paste made using Calmya and plain water to the affected joint and wrap them lightly with a soft bandage to avoid staining your bed linen. Both these methods will work in tandem and provide you relief throughout the night and early in the morning.